So this is a completely subjective topic! Everyone has staggeringly different opinions on what the minimum annual salary you need as an individual, couple or family to get by. Some people are happy to live on the bare minimum if it means they are living safely in Australia, while others will accept nothing less than the finest things in life to which they are currently accustomed. I can only relate my personal experiences about our costs of living but I have seen so many discussions around this very topic so I think I have a fairly good insight into the general costs of living for the average family. Update: I’ve written a new post about the cost of living in Perth in 2017! We’ve become homeowners since I wrote this post so you definitely want to check this one out to compare notes! Having moved from South Africa back in 2003, I could not really compare the current South African cost of living to our present Australian one. I lived in England for almost ten years so that’s my most recent frame of reference prior to beginning our life in Australia in 2013. I had done my research and had seen numerous people state how much more expensive the cost of living was here, especially in Perth due to the mining boom of the noughties. However, I was completely surprised when we got here to discover that the overall cost of living in Australia was shockingly similar to what we were paying in the UK (and in some cases actually cheaper!). 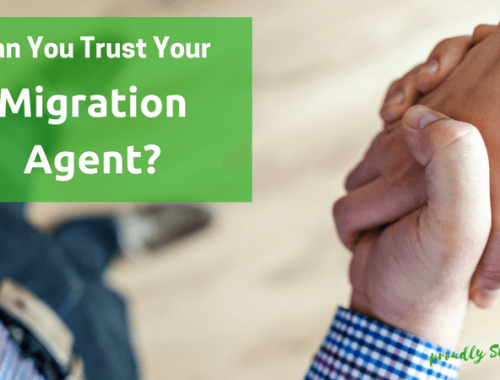 First, the big one – rent or mortgage payments. This is really expensive compared to what we were paying in England. BUT – we were not living in a big city. If we had come from London, prices would probably have been similar. It’s like comparing apples and oranges; no actually it’s like comparing apples and potatoes: they aren’t even in the same league. Rents can range from $350 per week in not so desirable suburbs of Perth to well over $1000 a week in more affluent suburbs in the city. The general rule of thumb is the further out from the city you go the cheaper it gets. If you want to get an idea of rental costs and house prices in different areas, check out Real Estate (they have a great app too!). Household bills – gas, electricity and water – were all in fact cheaper than the UK. We were paying upwards of £80 a month for gas and £60 for electricity and £30 for water. Compare this to Perth, where we are paying around $30/month for gas and $80/month for electricity (averaged over the year) and just $10-15 a month for water (as a renter you don’t pay water rates, only usage). When you compare that at an exchange rate of almost 2:1 we are in fact paying at least half of what we were paying in England. However, the amount you spend on these utilities will vary hugely depending on how many people in your household and the number of appliances you are running, as well as the age of your appliances. We recently started running an older fridge freezer as an extra fridge and it almost double our daily electricity consumption just by running this one appliance. We switched it off as soon as we got the huge bill and our consumption went straight back down. So if you are considering whether to bring older appliances or just buy cheap second hand appliances, just beware that they may end up costing you more in the long run than buying new energy efficient ones. *Update* As of winter 2016, we now have a gas heater which we have been using seemingly constantly since the cold weather started. This has increased our gas bill massively from around $80 a quarter to $300! However, it is worth EVERY cent – our house is so much warmer now and I wouldn’t change it for the world! We also now own a house and so have to pay water rates and usage so this is coming out at just under $200/month – big increase from renting! Wow! This is so cheap compared to the UK! We were paying around £1.40 per litre in England when we left and when we got to Perth it was around $1.20 per litre. So basically less than half the price! It’s probably on a par with South African fuel prices, so that means at least it’s not going to be more expensive! You can also keep an eye on the daily petrol prices on FuelWatch – more often than not Wednesday is the cheapest fuel day as the price varies daily here in Perth which I find bizarre. Fridays and weekends are usually the most expensive days to buy fuel. You can also get fuel vouchers from the 3 major supermarkets that all link up to different petrol stations. Shopping at Coles will get you 4c off per litre at Coles Shell stations, shopping at Woolworths will get you 4c off at Woolworths BP stations and IGA stations vary. It’s not a huge discount, but every little helps! This is something that divides everyone but is always going to be completely personal. If you have a small family and buy the basics of everything you can do your shopping on the cheap. If you have 4 teenagers eating you out of house and home, it’s definitely not going to be as cheap! Most people say they spend between $150 and $200 a week on food shopping. We are a family of three, 2 adults and one almost 5 year old (who I’ll tell you now, doesn’t eat a lot!). We spend around $150-180 a week and that includes all our washing and cleaning products. We try and buy local, fresh and where possible organic produce so we don’t buy the cheapest of the cheap but we also don’t buy top of the range for everything. If you want a good idea of what you will spend for your family, you can pop online to Coles or Woolworths and do an online shop of the items you would normally buy and see what it’s coming out at for you. It is definitely worth shopping around here, and there are some amazing farmers markets which operate on weekends all around Perth. Read all about the local farmers market in Duncraig here and the new St Stephen’s Community Farmers Market in Tapping here. These can range from $50-120 a month depending on provider and package. We get home phone (which isn’t even plugged in as I hate all the cold callers) and 100Gb per month (which we never completely use) through Iinet for $59 a month. For a similar package with Telstra we were paying $100 a month so definitely shop around for this! You can get packages that include unlimited international calls as well which is great if you plan on calling home regularly. Mobile phones can be as cheap or expensive as you desire. You can get pay as you sim cards from any mobile phone shop or supermarket for $2 and then just add phone credit as you need it. Perfect to get you started when you arrive. Contract phones can be a bit trickier as you generally need some sort of credit history, or at least a 100 point ID check – all phone shops will give you a list of documents you need to provide and each document has a value and you need to provide documents that add up to 100 points (each company will have differing values for each item but here is a guideline example). The main ones are usually a passport, WA driver’s license, bank statement with address on it, and a utility bill with address on it. Obviously it takes a bit of time to get all these documents together but it is definitely worth converting your driving license to a local one ASAP after you arrive. Take a look at phone contracts with different providers on WhistleOut, a great comparison site for mobile phones and broadband plans. The cheapest contracts with a new phone usually start around $30-40 per month for the older style phones (iPhone5C, Samsung Galaxy S4). Contracts are mostly 24 months and you can only upgrade at the end of the contract. Telstra is known for having the best coverage but is the most expensive of all providers. Other costs to factor in are car rego (registration) which you need to renew periodically – you can choose to pay every 3, 6 or 12 months and the rate you pay will depend on your car. We pay $500-600 a year per car. Car insurance varies wildly from provider to provider, for instance we recently saved $300 on our two cars a year by switching providers (our bill went from $800 to $500 for two cars per year). Contents insurance is $150 a year for around $50000 worth of cover. Well worth having as the number of house fires here are insane, as well as crazy people driving into houses (more about that another time!). Try iSelect and see what your premiums may be depending on your requirements and circumstances but remember to shop around as not all providers are available on comparison sites. Aami, Youi and Allianz are all popular insurers in Australia. If you buy a car on finance you need to take into account the monthly payments on them too. Interest rates can be anything from 5-14% and will depend on your credit rating when you apply for finance, the less history you have, the higher your rate will be. There are online car loan repayment calculators to work out potential payments depending what car you are looking at. For car prices, try looking on Gumtree and John Hughes as examples. If you own a home you’ll need to pay shire rates (equivalent of rates in SA and council tax in the UK) and this can cost anything from $1400-$3000 or more depending on what shire you live in and what size your house is. 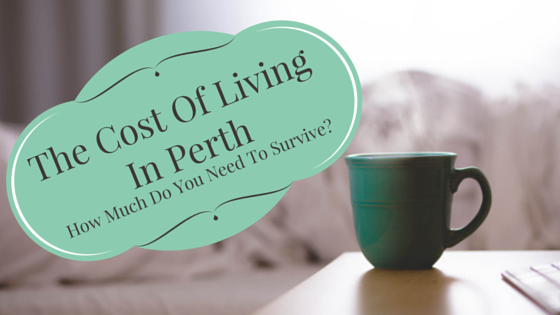 So there you have it – a basic breakdown of your day to day living costs in Perth (based on a family of 3). If you want to work out how much you need to earn to cover your living expenses, use this handy Australian online pay calculator which is updated regularly according to the new financial year and budget changes. What else would you add to this list? I’d love to hear your views in the comments. If you are arriving in Australia soon, read my list of things to do in your first week in Perth now.